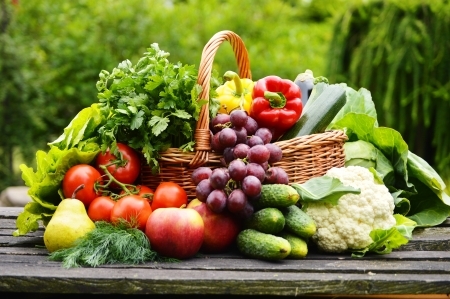 Perishable Agricultural Commodities Act (“PACA”) creates a trust to protect produce suppliers. In a recent S.D. of Florida Bankruptcy Case, the issue before the Court was whether a PACA trust is the type of trust that gives rise to actionable fiduciary capacity under Section 523(a)(4) – the exception to discharge of debt “for fraud or defalcation while acting in a fiduciary capacity”. Although the Court admitted that the decision was “a close one,” it concluded that a PACA trust does not satisfy the requirements for finding “fiduciary capacity” under Section 523(a)(4). The Court found that a PACA trust falls short because (1) it does not require segregation of assets unless and until a court orders segregation after a showing of dissipation; and (2) the trust assets may be used for non-trust purposes. The Court reasoned that language of § 523(a)(4) is clear that only debts incurred while acting in a fiduciary capacity are nondischargeable. Accordingly, the hallmarks of a technical trust relationship must exist prior to any alleged defalcation for a trust to be considered a technical trust. Applying that standard, the Court concluded that a PACA trust is not a technical trust until a court imposes additional duties and restrictions after a prior showing of malfeasance by produce dealers. As a result, the Defendant produce dealers’ debt to the Plaintiff produce suppliers could not be excepted from discharge under § 523(a)(4) of the Bankruptcy Code. Heather L. Ries is an attorney with the Financial Restructuring and Bankruptcy Department of the law firm of Fox Rothschild LLP. Heather focuses her practice in matters related to bankruptcy, creditors’ rights, commercial workout and foreclosure disputes, and commercial litigation. You can contact Heather at 561-804-4419 or hries@foxrothschild.com.